We all want to keep our property protected, whether it's your home or your business there are precautions that you should take to not only deter crime but to prepare if it does happen. CCTV camera have been a vital piece of equipment in any security surveillance system and the technology behind them continues to improve. The time of grainy, unidentifiable images is becoming a thing of the past, because after all, what is the use of catching a crime on camera if the footage is useless? That's where IP CCTV cameras come into play. What is an IP CCTV camera? IP CCTV cameras are some of the best security cameras on the market. Internet protocol (IP) cameras send and receive data using computer networks and the internet, meaning that it is far easier to review and access the footage they capture. IP CCTV also collects footage of a much higher resolution than ever before, over a much wider frame. This means that IP CCTV not only collects footage of a much better quality but a larger picture than before, meaning you actually need less CCTV cameras whilst maintaining or increasing surveillance. This technology not only gives you a much clearer overlook over what is happening on your property but makes it incredibly easy to access this information. You don't need to spend hours scrolling through footage, the footage can tell you when something worth seeing has occurred. Where can I get a IP CCTV camera system? At IDS security we can provide you with the most advanced, top-of-the-line security systems that work around your specific needs. Our in-depth knowledge of all things security allows us to bring you the latest advancements in this technology, such as IP cameras. We will talk with you about the property that needs surveillance and help you select an IP CCTV camera system that best suits your specific requirements. We have a diverse range of CCTV security systems which you can learn more about by clicking here. As well as designing and installing your security system, we also offer CCTV maintenance. This ensures that your security system is always working its best so that you can rest assured that any crime that happens will be recorded by your IP CCTV camera. To find out more about how an IP CCTV system can help you protect your property, feel free to get in touch. For that or for any of the other services we provide please don't hesitate to contact us today. If you're thinking about improving your home security, we specialise in both CCTV supply and installation here at IDS Security. We work hard to keep you safe. Your security is our utmost priority here at IDS security, which is why we supply and install a large range of different CCTV cameras to suit your requirements. Our trained engineers will help you find the right CCTV camera for your premises and will help to keep it maintained with our 24-hour call out monitoring and engineering service. What types of CCTV do IDS supply and install? Some of our CCTV security systems also allow you to remotely enable site facilities, like lights, doors and gates. This means our CCTV systems require less supervision. Not only can CCTV provide you with a clear way of identifying any burglars or vandals within your area, it can also serve as a useful deterrence for would-be criminals. A large CCTV camera watching over your property is sure to make any potential criminals think twice. If you're someone who likes to go on holidays, CCTV is also a great way to reassure yourself that your home will be okay once you travel. It will provide a clear recording of all the ongoings around your property for you to review once you arrive home. 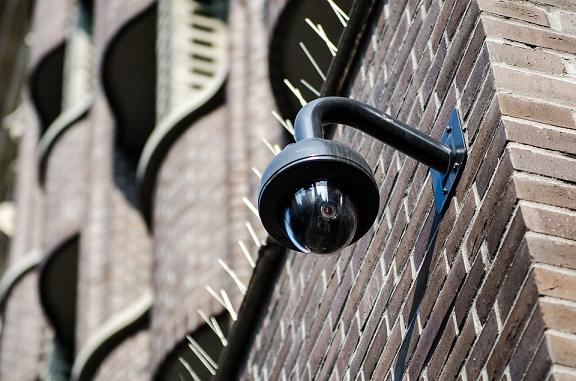 Furthermore, CCTV systems are easy to monitor yourself but here at IDS security we also provide a 24-hour call out monitoring & engineering service along with our CCTV supply and installation. If you have a problem with your CCTV system, we will come out and find a solution to your problem as soon as possible as part of our maintenance contract. If you're interested in purchasing a CCTV system which our experts will install for you, you can get in touch with us today to request a quotation or call 02920 753 251. We're looking forward to hearing from you.